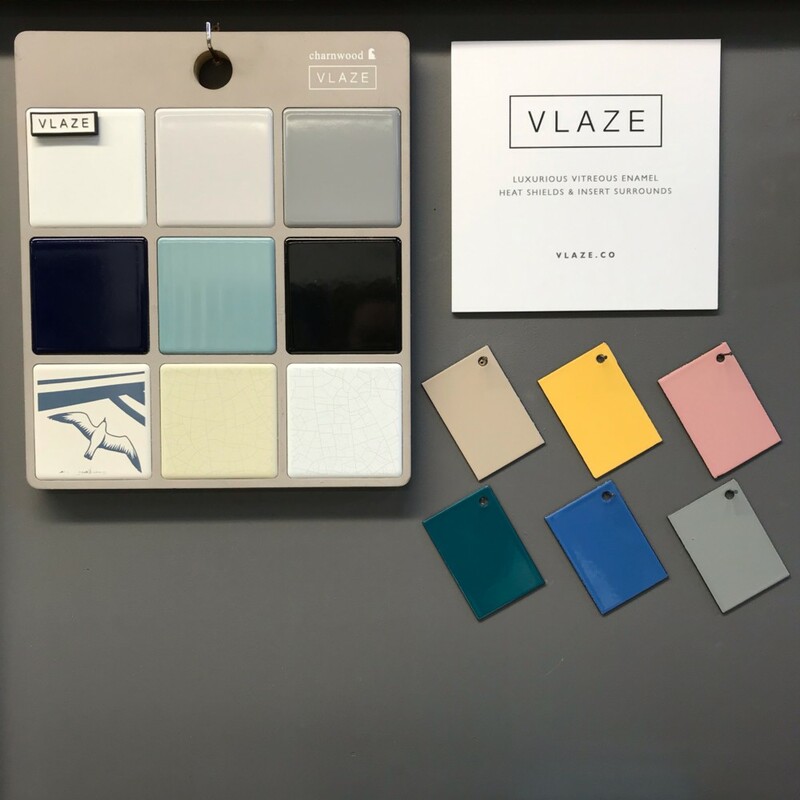 Discover Vlaze!! 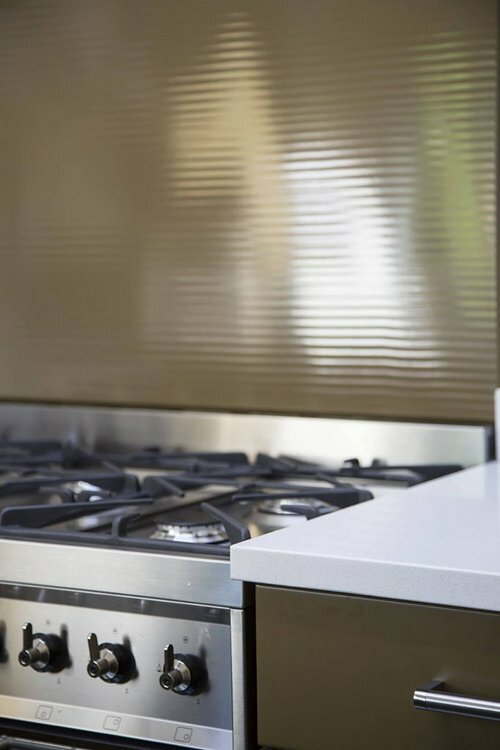 A fantastic island made product made from vitreous enamel used for a range of products from cooker splash backs to shower surrounds come in-store and see our proud new display, and quiz our knowledgeable team! 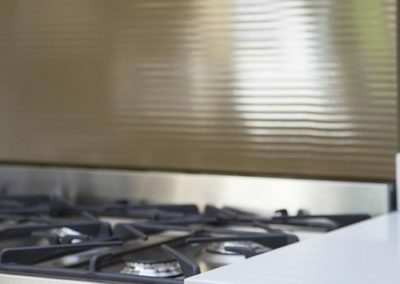 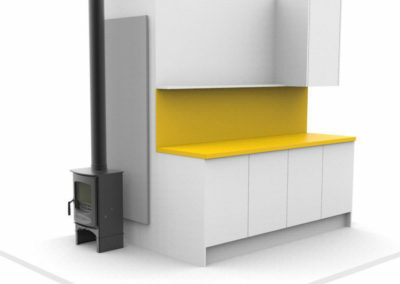 VLAZE RANGE COOKER SPLASHBACKS are designed to fit most standard range cookers. 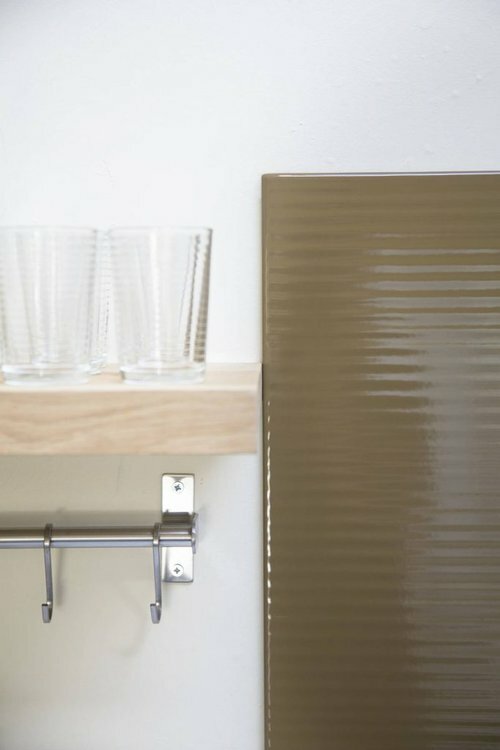 The vitreous enamel finish replaces the need for tiling and is very easy to clean and maintain. 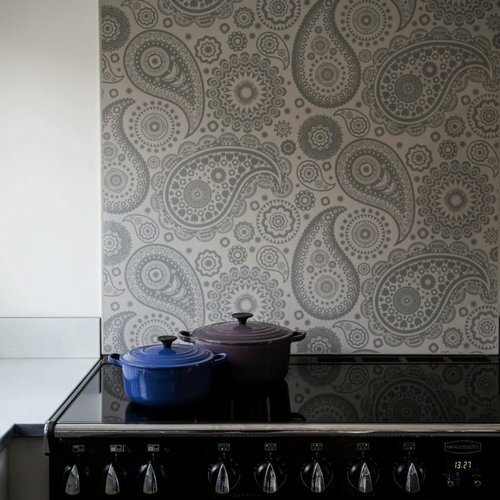 These splash backs can be used anywhere tiling would be used and are a perfect mess free alternative. 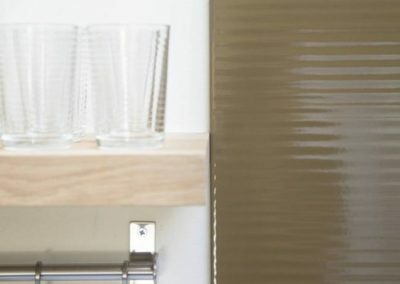 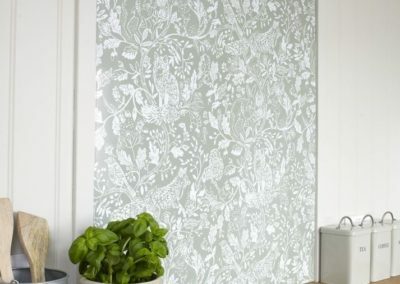 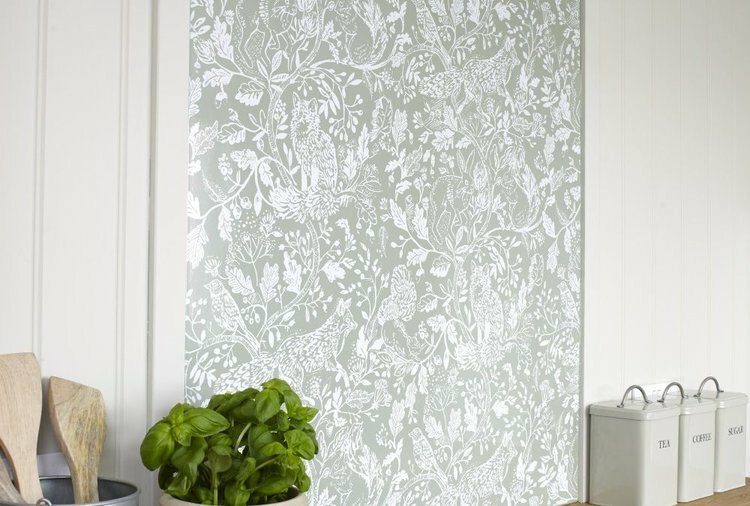 They are grip fixed to walls meaning no heavy wall fixtures are needed and can be fitted in minutes! 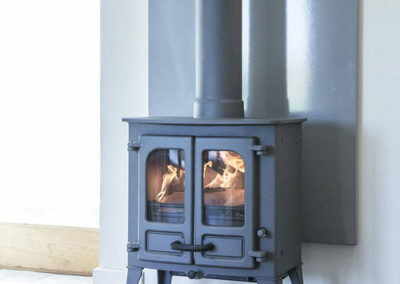 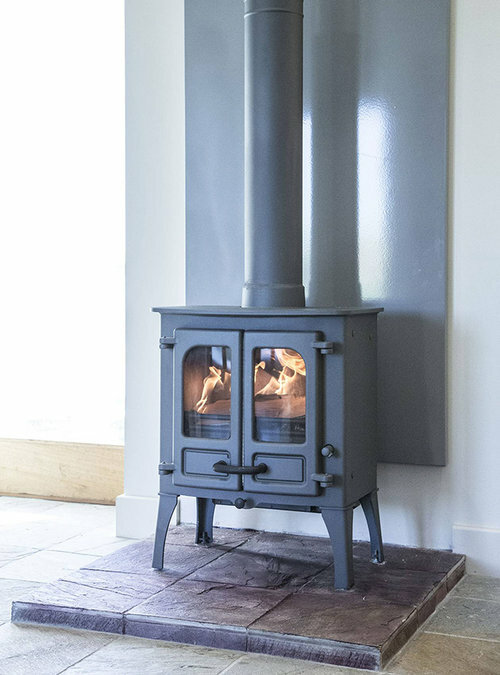 VLAZE wall mounted heat shields are designed to be hung behind a wood burning stove creating a focal point that not only enhances the fireplace but allows the stove to be placed close to the wall behind. 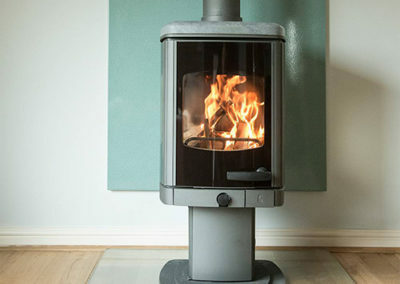 When installed the shield reduces the stoves distance to a combustible material by half and in the case of Charnwood appliances down to just 100mm. 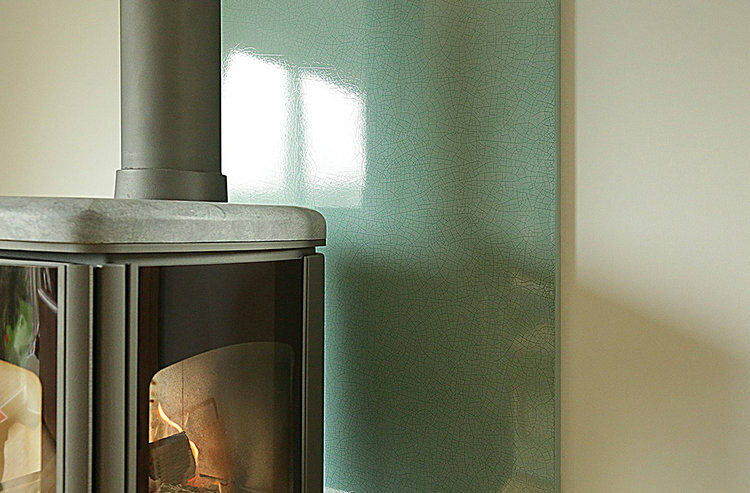 The vitreous enamel panel features a dual skin that provides thermal protection and an effective convection system that distributes heat back into the room. 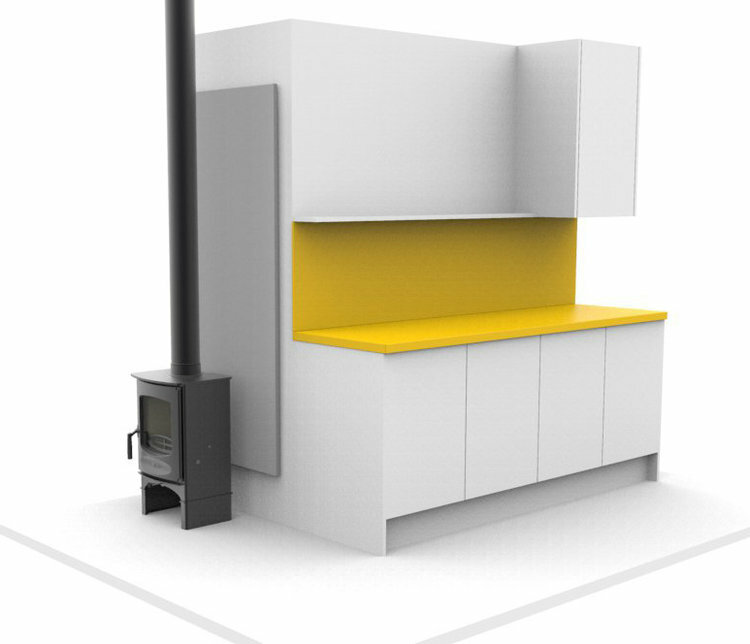 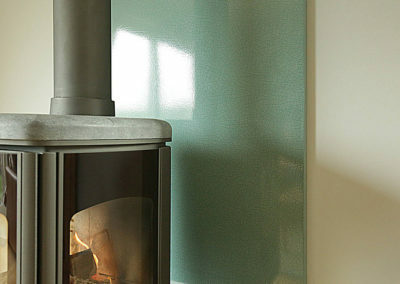 Using a rail mounted system the heat shield is quick and easy to install and is available in 3 sizes to suit most freestanding stove models: 800 x 1200mm, 800 x 1800mm and 1100 x 1800mm. 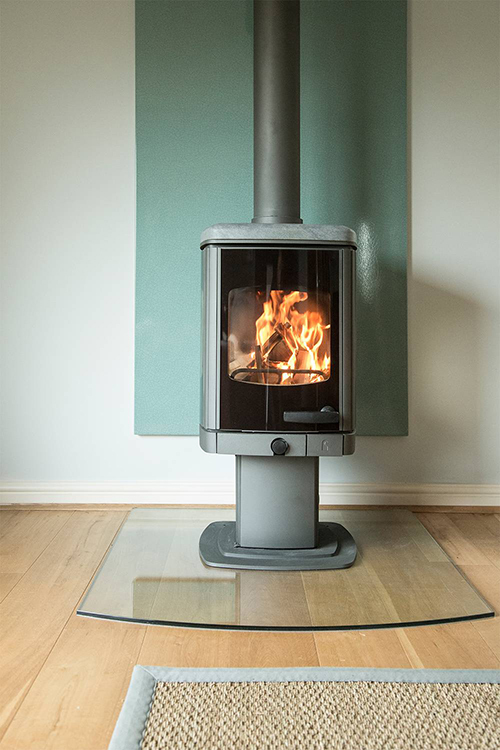 Click to view the current Vlaze heat shield brochure. 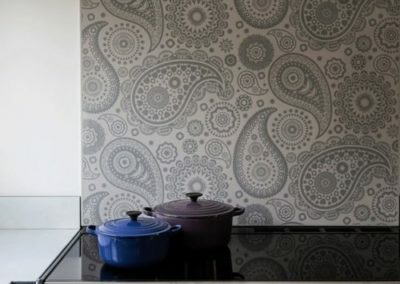 Click to view the current Vlaze Splashback brochure.